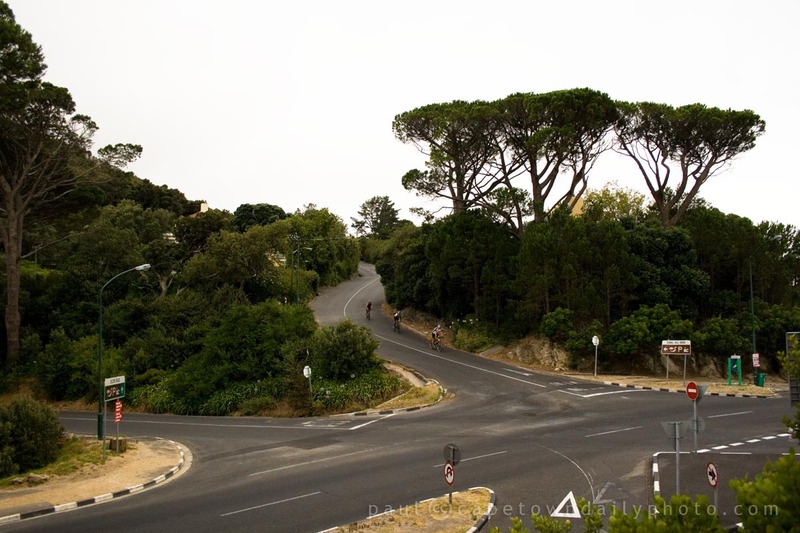 In this photo (map), did you notice the three cyclists coming down the road from Signal Hill? I imagine that they'd been for a morning ride up to the lookout point at the top of Signal Hill. The ride up the hill is really very beautiful at sunrise. From the road you're able to see the bright glow ascending in the distance over the Boland Mountain Range and the low-lying mist over the city and suburbs that slowly clears as the sun heats the air. The city looks so peaceful from the hill that it's hard to imagine that there is anything but friendly happy people waking up from their slumber. Posted in General and tagged cycling, road, signal hill, sport on Sunday, 25 April, 2010 by Paul.